Every time I host a retreat I offer two or three optional classes. On occasion I offer those classes to the rest of my customer base as well. This is one of those times! I LOVE how these classes turned out and so excited to offer them to you. There's lots of information in this post so be sure to read all the way through. In a nutshell though, you have the choice of participating in one, two or all three of the classes in person (on March 23rd) or to go. I've filmed a quick video sharing how the retreat in a box works. 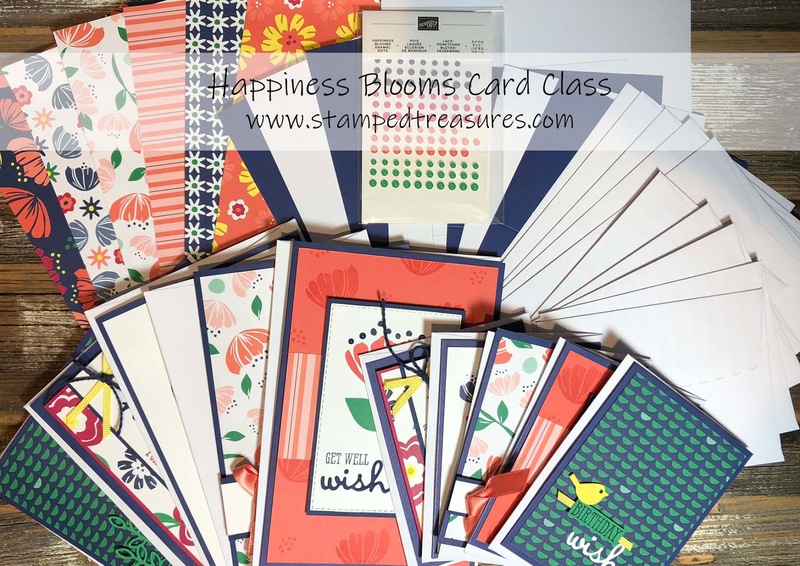 In this class you'll create 10 cards, in two sizes, using the Bloom by Bloom stamp set and Well Said bundle. To complete this class at home, you'll need: Well Said stamp set; Bloom by Bloom stamp set; Lovely Lipstick, Call Me Clover, Pineapple Punch, Night of Navy and Calypso Coral ink pads. 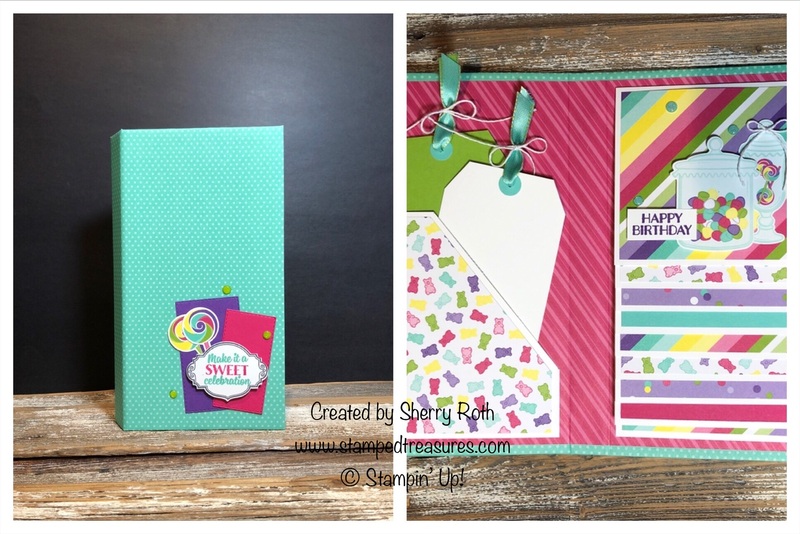 In this class you'll create a beautiful birthday themed waterfall album. Note: this doesn't have to be birthday themed, keep out the happy birthday and fill it with everyday photos! To complete this class at home, you'll need: Sweetest Thing bundle; Coastal Cabana, Melon Mambo and Gorgeous Grape inks. 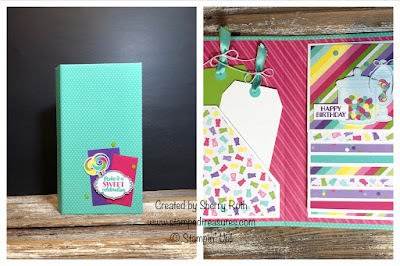 In this class you'll create four 12x12 scrapbook layouts using the How Sweet It Is suite. There are two class fee options for this class. If you participate in the Waterfall Album Class, you can also participate in this class for just $25 since we use all the same supplies you will have received in that class. If not, class fee is $50. To complete this class at home, you'll need: all the supplies listed for the waterfall album; memento black ink; lined alphabet stamp set and either the labeler alphabet or another in similar size. Participate in all three and you'll receive a free spool of old olive linen thread and the pillow gifts retreat attendees will get, my way of saying thank you! If you are attending the in person class and participating in more than one class - you have the choice of bringing a bagged lunch or lunch will be provided for an additional $8. Please let me know at time of registration what your plans are. Registration and payment deadline is February 20th. To go kits are subject to shipping based on your class selection. We will work that out once you've emailed me your choices. To go kits will be mailed by Sunday March 24th at the latest. I am looking forward to sharing these classes with you!